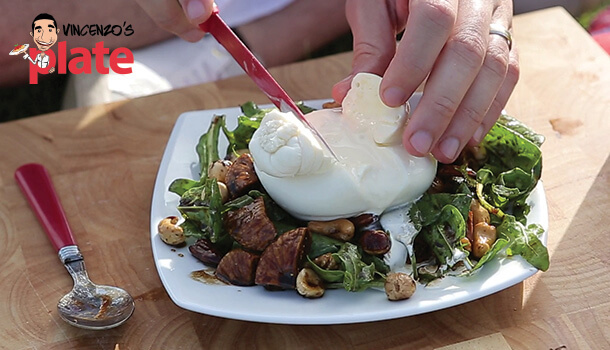 Burrata Salad is a delightfully creamy recipe which is simple to make and will please those who love a touch of sweet in their savoury dishes! 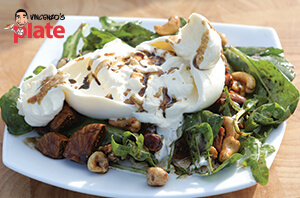 The mix of dried figs with nuts and honey is a foodie’s delight, while the spinach and arugula add a bittery punch. 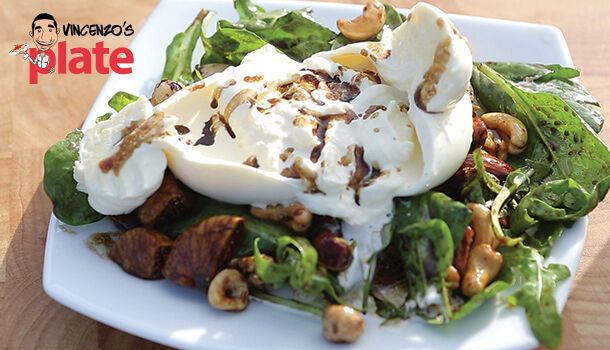 To start your Burrata Salad, add arugula and baby spinach to your bowl. 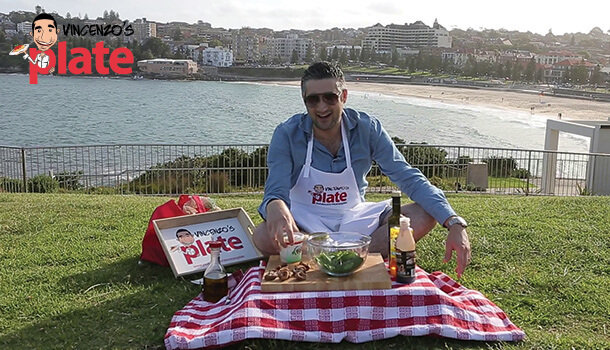 Throw in 2 handfuls of mixed nuts then cut the dried figs into small pieces and add them too. Pour 4-5 tablespoons of extra virgin olive oil into a jar, along with balsamic vinegar and a drizzle of honey and balsamic glaze for your Salad dressing. Put the lid on top of the jar, close it tight and SHAKE! SHAKE! SHAKE! Pour this on top of the Burrata salad, and mix it through using a spoon. 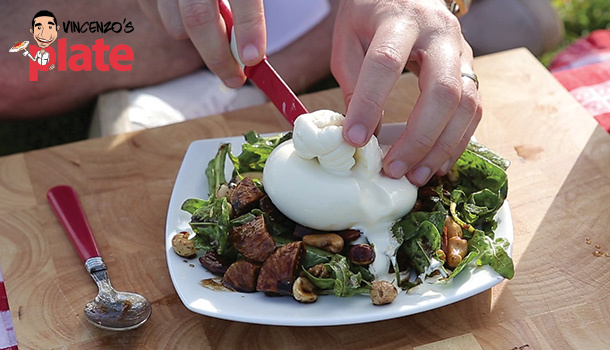 Place the salad onto a plate of your choice and put the whole Burrata on top, in the centre. Drizzle some more dressing on top and serve, allowing everyone to scoop up some of the cream and a beautiful piece of cheese. If you want to add another layer of richness, drizzle some balsamic glaze over the top.